On Wednesday 16th March, all three primary schools from the federation met atBradford Primary for a day of Handball and Art. 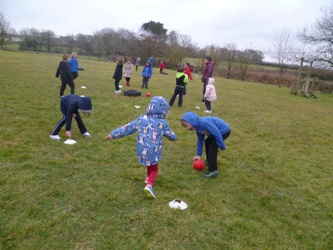 The schools split into KS1 andKS2 groups, mixing with children from the other schools. 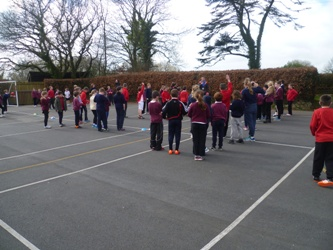 Wesley Pugh, SchoolSports Coordinator from HCC introduced the children to Handball, leading skillsdrills followed by team games. 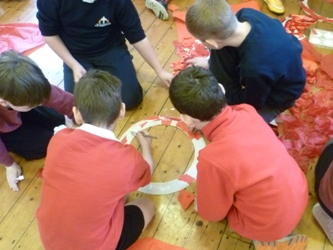 For the rest of the day, the groups worked onjoint art activities with class one enjoying a range of activities linked toThe Very Hungry Caterpillar and class two children working collaboratively on a collage of the Olympic rings.